At Last…business Fire Alarm systems done properly! You’ve finally found the security company that can provide the very best in business Fire Alarm systems – no matter what your objectives, we can assess, design, install, upgrade and maintain the highest quality commercial Fire Alarm systems to protect you and your organisation. You want a Fire alarm system and service levels you can trust – and with 50 years in the industry, you can guarantee that our knowledge will keep you safe and compliant. You’ll get 100% honest and transparent advice, to ensure you get the most suitable Fire safety solutions for your premises, giving you complete peace of mind that your buildings, staff and visitors are fully safeguarded. During your free site visit, survey and assessment, our consultants will take the time to understand what Fire safety and security success looks like for your operation to create a robust and reliable bespoke solution. Most of our clients come to us for a system take-over due to poor service performance from their current/previous partner, but we can also manage upgrades or extensions for growing businesses and to ensure compliance. If you’re looking for a new business Fire Alarm system or an upgrade, here are some of the features, capabilities and benefits our products can offer that will bring you the highest standards of fire detection, protection and prevention. These are used for lower risk businesses and separate your premises into various zones – but does not narrow down the alert to an exact location within the zone. These are more suitable for businesses or organisations that have bigger premises, greater staff/visitor numbers or are at higher risk. With these systems, every detector has its own ‘address’, so that on activation, you can identify the exact location of the hazard. Our smart control panels give you a central system to enable the monitoring of circuits and fault signals, plus provide the facilities for testing, disabling devices, audible alert silencing and system resets. Control panels must be placed in a low risk location, near the ground floor entrance. Heat detectors – these come in two types; to trigger an alert when it registers a pre-set temperature, or to trigger an alert based on the rate of the rise in temperature. 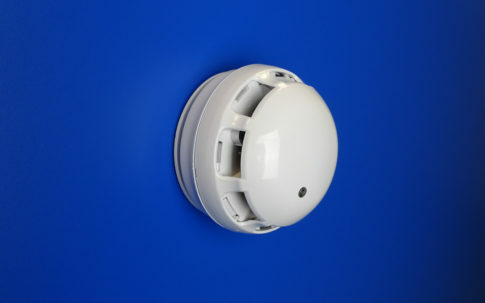 Smoke detectors – these can register smoke in three different ways; ionisation, light obscuring and light scattering. 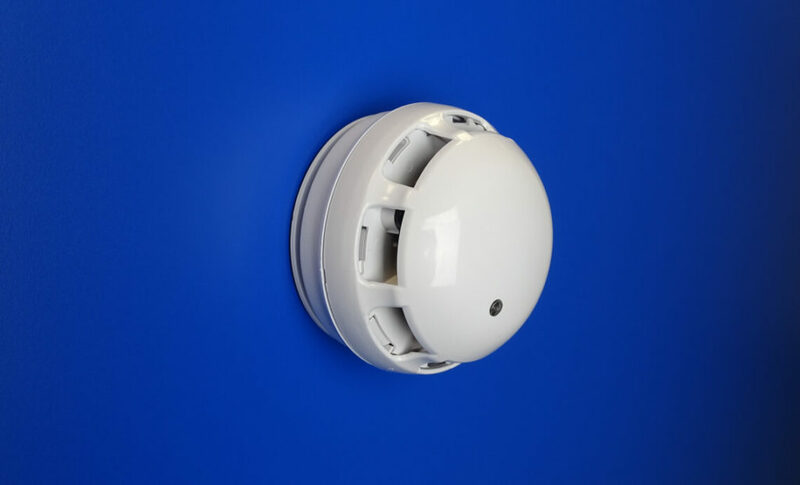 You’ll have several choices when it comes to audio alerting mechanisms, including bells, dome bells, solid state sounders, sirens of varying sizes and frequencies and motor or pneumatic horns. Whether you have a new or existing system, we’ll connect your alarms to a reliable, 24/7 monitoring station, providing key holder and/or fire brigade response capabilities. You have a legal responsibility to meet all fire alarm regulations for commercial buildings – so we’ll make sure you do exactly that, giving you the peace of mind that you’re legally and physically protected. The risks associated with a Fire breakout can’t be underestimated, and a fully working and compliant commercial Fire Alarm system is the only way to truly mitigate those risks and reduce liabilities. While insurance claims can be inconvenient and complex, the biggest potential tragedy is the very real threat to loss of life. Stock can be expensive to replace and slow down operations and production, but ensuring staff and visitors have the best chance of escape should the worst happen is something you simply can’t leave to chance. A properly conducted Fire risk assessment is an integral and essential element of your health and safety processes – make sure that your designated responsible person understands every element of this process, to ensure your health and safety policies are fully up-to-date and effective. As a medium/large business, Fire Alarm systems on your premises must meet all legal compliance requirements in order to ensure your insurance is valid – and by being able to demonstrate this, you’re likely to see a reduction in your insurance costs. You have a responsibility to meet fire alarm regulations within your premises, in accordance with the Regulatory Reform (Fire Safety) Order 2005 – and to ensure maximum protection, you should also ensure that installation and maintenance services conform to BS 5839. A risk assessment is the crucial first step to identifying an appropriate fire safety solution, which will allow you to ensure that any fire can be quickly detected and personnel and visitors can be effectively and efficiently warned in order to evacuate the building. Most of our larger business customers require an A, B or C grade fire alarm system to meet legislative requirements – we’ll advise you to ensure you get the right one. There are also two key categories of fire alarm systems to consider when it comes to regulations. Category L – Named as these protect life, these systems range from L1 – L5, with L1 providing maximum protection with detectors fitted in every room, plus circulation areas and even cupboards – while L5 means that detection is only fitted into specific risk areas. Category P – Named as these Fire systems are installed to protect property and can be either P1 – installed everywhere including voids – or P2, used in specific areas to manage a particular risk of Fire. Your insurer may require you to install a category P system, so please check if you’re unsure. We offer flexible leasing on every Fire Alarm system, helping you manage your cash flow, increase tax efficiency, fix your costs and ensure you have the best and latest equipment.